Well, it really was and I’ve always wanted to open with that line….seemed like as good a time as any to use it because it actually was dark and stormy and this is horror story at least for me because it had all the elements of a good one. It also serves to illustrate that you never know what the day is going to bring when you get out of bed in the morning. I had a toothache….and not just any old toothache but the kind that is relentlessly constant and that eventually will drive you to the loony bin if you don’t get some relief from it. It reminded me of the last toothache I had 23 years ago and ironically it was the same tooth that came back to haunt me this time. Nature played a joke on me by giving me a mouth full of healthy, strong teeth (and a big enough mouth to fit them all in) but then decided to throw in one dud that has always been a problem. It was neither healthy nor strong and after many fillings during it’s short life, my dentist decided enough was enough; lets just crown it and get it over with. He sent me to a specialist in Atlanta who had to do a root canal and I understand why there is something inside of us that makes us forget how bad something can be because if they remembered every detail, they might never consent to having another one. I suppose I had forgotten how bad a root canal procedure can be as well. My local dentist, who I have been going to since he set up shop here took an x-ray, had a look and told me the tooth underneath the crown was likely infected and I would need to see a specialist. Like a dormant volcano, Mt. Molar had decided to remind me how much havoc he could wreak. Fortunately, the dentist knew of a specialist in Macon who also happened to work late office hours on Monday. With a 7pm appointment in hand, I went back to work and focused on the day ahead. Meanwhile to the west of Georgia, the year’s first spring thunderstorms were building ominously. Arriving at the dental surgeon’s office, I was given some paperwork to fill out and a schedule of prices for various procedures. I noted with alarm the cost of a root canal, which was considered to be the likely outcome of this visit depending on what she found: $950.00! I thought back to the various offers I had gotten from co-workers to pull the afflicted tooth and wondered why I hadn’t taken them up on the offer. Better to rid myself of the offending tooth than spend a vacation’s worth of money on a member that had never lived up to its expectations. It was a wait and see thing though so I decided to wait. A short while later, I was taken back to the procedure room and noted with a touch of cynicism the beautifully crafted dental chair and how the flourescent light panel covers in the ceiling had been replaced with decorative ones featuring blue skies, white fluffy clouds and Monarch butterflies. This was quite a contrast to the dark and ugly gray skies, skies that were getting darker by the minute as the sun dropped for the night. “I know where my $950.00 is going now” I thought with a smirk. I settled into the chair and found it to be the most comfortable dentist chair I had ever been in. More impressive was the x-ray they took that instantly appeared on a flat panel LCD computer screen to my right. No running off to develop the film at this place. Between the beautiful pictures on the light panels, the comfortable chair and the relaxing music being piped into the room I felt very comfortable and hoped this would be a quick and relatively painless procedure. I’m sure Robert E. Lee hoped that Gettysburg would just be a good place to stop and water the horses too. 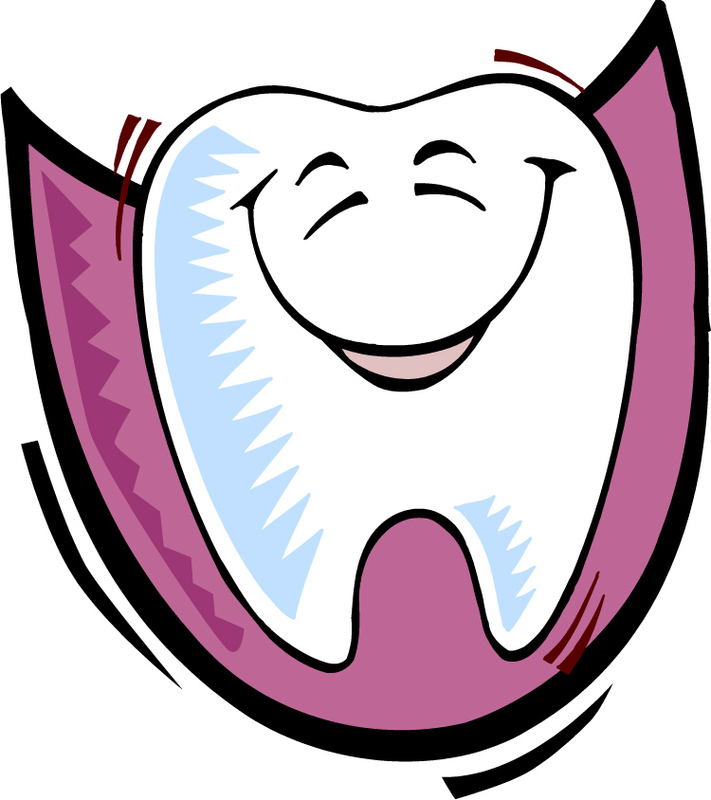 The dental surgeon came in shortly thereafter and gave me an overview of the x-ray and I found out that the Atlanta dental surgeon who had done the original root canal in 1988 had missed one and that there was a lot of inflammation inside the crown. She set about her work and as the chair reclined into a flat pose, I became aware that there were two handles on either side of the chair to grab hold to. This was my first indication that routine dental visits didn’t happen at this office. She deadend my gum line with a gel followed by no less than THREE shots of numbing solution, far more than what I usually get for the occasional filling. Bill Cosby’s comedy routine about going to the dentist sprang to mind, remembering how he talked about his face sliding off his skull. Mine was down in the floor somewhere I think. A brief intermission and several instant messages to my wife later, it was time to dig in and dig wasn’t far from being an adequate description. She installed a device over my mouth that apparently isolates the tooth and keep debris from getting into the mouth. It reminded me of a trampoline and I wished, as I often do at the dentist office, that I could see what was going on so I could better understand things. I thought she would just pop the crown off, open up the problem area, clean it out and put the cap back on. Wrong. She drilled right through the crown, first the porcelain veneer, then the underlying steel. I was certain that Exxon had not drilled this deeply looking for oil as I watched the occasional fragment of the crown fly out and in the air. While she had done a good job numbing my mouth and I was not in pain, I was not very comfortable either. The cushy leather chair began to feel like a board. After a long time, she had succeeded in opening up a large hole in the crown and removing the filling underneath that capped the roots. Things went downhill from here at a steady clip. It turns out that the tooth was indeed infected and that all of the root canals (there were three apparently) were infected and abscessed. After some more drilling and removal of debris, the dental surgeon stopped the procedure and told me things were a lot worse than was realized due to the abscess and that a decision needed to be made-she could try to save it if she could but if she could not do what needed to be done, she would have to extract the tooth. The other choice was to do that now. Suddenly faced with the real decision of trying to save the troublesome tooth or having it permanently removed, I grew a sudden fondness for the tooth that just a short while earlier I had wondered why it was worth keeping. Aside from my tonsils, of which we parted ways when I was six, I had all of my original factory equipment and wanted to keep it all as long as possible. It’s funny how something you joke about earlier becomes deadly serious when you have to truly make that decision. I told her to try to save it and she went back in. The clock on the wall showed 8:30 by then and a huge bolt of lightning stuck just outside, the thunder rattling the instruments in the tray. Having grown tired of the butterflies I watched, as best I could, what the dental surgeon was doing and I was impressed. She peered through a high-powered magnifying lens that looked like the business end of a telescope while working with the drill, tiny probes that looked like fishing line and other tools. Her face took on a look of intense concentration as she worked quickly, all the while speaking various dental terms to the assistant who was taking notes between working the vacuum cleaner she kept sticking into my mouth. She was entirely focused on her task and time drug slowly by, punctuated by bright flashes of lightning and loud, rolling thunder, none of which seemed to break her concentration. I had this image from an old movie of the mad scientist working over his victim who was lying strapped to a table while a lightning storm raged outdoors. This was not a comforting image at all. The discomfort in my back and my neck increased and my jaw muscles were weakening from trying to keep my mouth open for so long but one by one, she cleaned out all of the infection and other materials using a suction tube that was about the size of a large sewing needle. Three root canal procedures in one sitting. She then put medicine directly into the channels to kill infection and put a filling in to seal it all back up. The last half hour was the worst for me because of the discomfort but I could tell it had worn on her as well as she was looking very tired. I was in agony by then, my neck felt fused and at this point, I was ready for someone to put me out of my misery. Just shoot me. Finally, as the last remnant of the storm abated, she was done and the procedure was successful. It took me a minute to stand up because my muscles were so tired and I looked at the clock, amazed that it was after 10pm. I thought about my earlier musings on the cost of the procedure, the nice furniture and office features and decided it was pretty cheap. The surgeon had just spent three hours hunched over in a chair working to save a worthless tooth and using tools so tiny that a watchmaker would have been impressed. The knowledge, skill and abilities required to do something like this was formidable to say the least. I know that I could not have done it, not most of the people I know. For that price, I got professional, exceptional care and treatment and the undivided attention of a dental surgeon who is devoted enough to her task to work until after 10pm to get the job done-and she does these all day long too. Because of her and the skills she chose to develop, I still have all my original parts in place. Interestingly enough, she was already a doctor before she chose to become a dentist. A PhD in molecular biology hung on the office wall next to the later doctorate in dental surgery. There is an old saying that you get what you pay for and this time around, I think I got that. The night was still dark but the sky was not stormy anymore as I left to go home and I thought about how lucky I am and so many others, that we have people who possess the skill to heal, whether it be body or teeth and that despite what television and newspapers may print, most of them do it because they enjoy it and because they know they are blessed to have such ability. As for me, sometimes I have to be shown the reality where my preconceived ideas sometimes prevent me from seeing the truth. It’s easy to joke about getting rid of a tooth but much harder when you have to “put up or shut up”. It’s also easy to believe you are being taken to the cleaners for having a procedure done that doesn’t sound, on the surface, like that big of a deal-but it comes harder to justify your position when presented with the knowledge that only 1 in 5000 people may possess that skill….so yes, I can still learn from my mistakes and will learn from this one as well. If you ever need a top-notch endodontic dentist, I will be glad to recommend one to you. I am the ‘proud’ possessor of a set of teeth passed down to me by my mother – genetically I’m the lucky one since my brother has (had) my dad’s. Ouch! I’ve spent many hours in the chair years ago when the horrible truth of that inheritance plus the bad work done by my childhood dentist came to light. I believe nearly all fillings had to be removed and redone, which of course means they became larger fillings and in some cases crowns. Yes, I’ve had a molar crowned with all attendant roots. I can only reiterate: save every bit you can! It’s worth the money and aggro in the long run. I particularly liked the comment about Gettysburg and Lee’s sadly misplaced expectations.